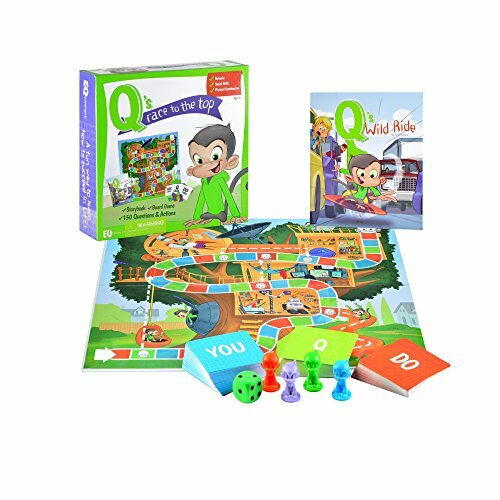 Inside: 10 fun and enjoyable social skills group activities designed to help kids learn through play. Perfect for social skills group centers or for groups at school. Board games are one of the best ways to work on social skills. Playing a game requires patience, being able to wait and take turns, negotiation about who goes first, agreeing to and sticking to the rules, and being a good sport, whether you win or lose. You can also make typical competitive games into cooperative games. For example, a game like connect four can be cooperative, if two players pair up and work together to beat you - the adult in the room. Or for a bigger group, you can play a game like Uno, and you can have the stated goal be to get the adult out first. Eventually, the goal would be to have kids play a competitive game. Review the expectations of playing a game, how to win and lose graciously. Set it up and see what happens. This is one of those times where you are creating an opportunity for teachable moments to occur. Be ready to step in and help kids problem solve. There are games specifically designed to encourage conversations about social skills. A great game is Q’s Race to the Top. There are questions cards with conversation prompts on them. One of my favorite aspects of this game is the “DO” cards, that break up the game play and engage kids in easy movement, flexibility and dexterity challenges. It’s perfect for those kids who can’t sit still for too long. 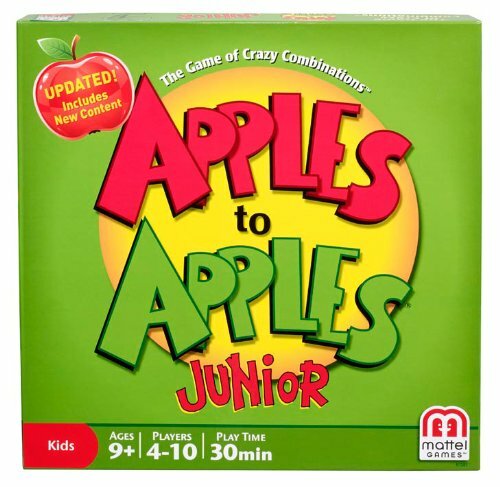 I can’t have a game section and not talk about one of my favorites - Apples to Apples Jr. This game is so much fun! Not only is it a riot to play, you also practice seeing things from someone else’s point of view. Because the person who is judging which card wins changes throughout the game, you work on perspective taking naturally. Talk about Pokemon - it’s one the best social skills group activities for conversation skills! Kids are told all the time - now isn’t the time to talk about that. Or save that topic for later. What if you let them talk about their favorite topic, on purpose? The first time I did this activity with a group, some of them looked at me like I had three heads. Wait, you WANT us to talk about Pokemon?? Yes, yes I do. But there are a couple of things to do so they get the most out of this exercise. Go over the basics of what a conversation is - and what a conversation is not. For example - the can’t drone on for 15 minutes about their new home in Minecraft - that’s a monologue, not a dialogue. Break them down into pairs. The more people you add in, the trickier conversations can get. Start off with just two people to practice the basic back and forth of a good conversation. I love teaching the zones of regulation. It’s such a helpful way to help kids understand their emotions. I even have the zones up in my own home to help my own kids. To help kids start to identify which zone people are in, choose a short animated video. I’ve used clips of A Bug’s Life, Shawn the Sheep and The Incredibles. As you are watching the clip, and you notice a character’s zone, stop the video and talk about it. Use a visual of an actual zone on the wall or table and literally place the character’s name or image in that zone. If they change zones, move them. This is a great way to start a conversation about how people move zones, and how they can get back to the green zone. Hint: Always check out a video before you show it to a group. So many giggles start happening in a social group when you’re trying to decide between two silly, outlandish or goofy statements. Kids practice picking one of the statements, even if both are not great choices. They can ask follow up questions, but they have to choose one or the other. You can make up your own before the come to group. Would you rather have spaghetti shoot out of your fingers or sneeze meatballs? Would you rather sew all your own clothes or grow all your own food? Would you rather live in the past or live in the future? If you’re feeling especially brave, you can have them make a few up for each other too. Feel free to substitute if you don’t have something. This is meant to be easy to set up, not extra work for you! Here are more ideas for problem solving prompts. This one takes a little planning on your part but it’s worth it. Treasure hunts are a blast. And they’re a great opportunity for kids to work together to figure out the clues. I also love using a puzzle as the ending, because then they have to work together and use all the clues they found to create the puzzle. Set up a treasure hunt and use the puzzle pieces as part of the clues they’re trying to find. Then once the treasure hunt is over, bring all the puzzle pieces together and have them put it together as a group. Big oversize puzzles work best when doing them for a group activity. Depending on how much time you have and how old your group is, think about how many pieces your puzzle should have. We can often talk about being flexible, but sometimes it helps to use a prop or two to show what that means. When I talk about being flexible, my favorite props to use are yarn, pipe cleaners and popsicle sticks. I’ll start talking and have kids hold the different materials and talk about what each represents. Ask for examples of when someone is like a piece of yard versus a popsicle stick. The Chrysanthemum Lesson is perfect for talking about how your words have an impact on others. Set your own heart aside, leaving it as is. As you read the book, every time a character says something mean to Chrysanthemum, have them wrinkle up their paper heart to represent how mean words impact others. Every time her parents say something kind and loving to her, have them smooth out the paper heart a little bit and try to repair it. At the end of the book, try and spread out the heart as much as possible and repair it either using tape or Band-Aids. Compare the paper heart that wasn't wrinkled at all to the ones we wrinkled while you were reading and noticed how different they were. Even when you say sorry and apologize for your mean words and mean behaviors, it still has a lasting effect. There are some cool ways to make secret messages out there. Here’s one from Frugal Fun for Boys and Girls that uses letters. And here’s an idea from us that uses white crayons and watercolors to create secret messages. They can pick up on clues about how someone else is feeling by looking at their face and body language. They can pick up on clues about the hidden rules at school by watching what other kids do. Does everyone always walk to the right on the stairs? That’s not an explicit rule at school, but it’s something that everyone does. It’s Wednesday afternoon. Kids come bounding into your room, full of energy and ready to go. “What do you have planned for us today? ?” They don’t even realize they’re working on social skills while they’re playing and having fun - success! !